When the ultimate, once-in-a-lifetime project comes along there is only one road to success. 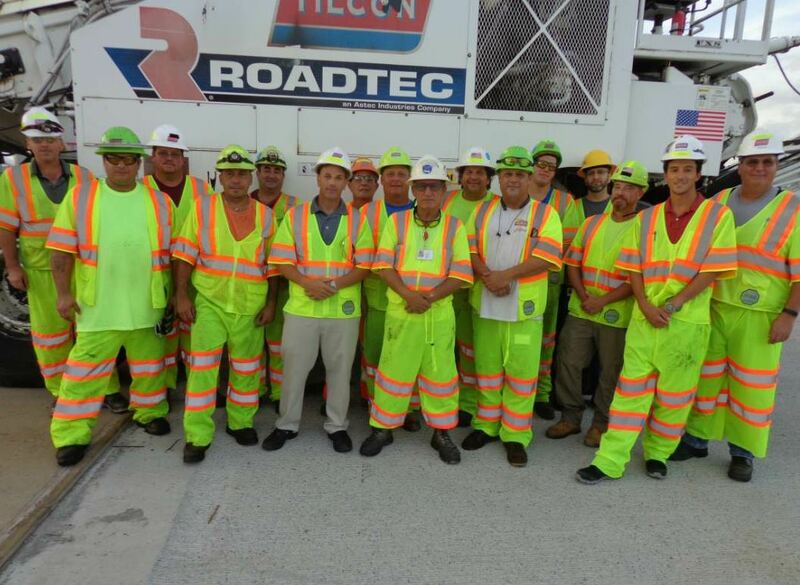 A team of highly skilled, dedicated professionals focused on the details and committed to delivering a high-quality job when paving the New NY Bridge under the direction of John Carollo, vice president of construction of Tilcon New York Inc. The original Tappan Zee Bridge was a cantilever style, which opened in 1955 connecting Rockland and Westchester counties over the Hudson River. The original Tappan Zee was designed to accommodate approximately 40,000 vehicles per day, which is considerably less than the current 138,000 daily travelers. Any good project needs communication. Here’s the vital toolbox talk before an evening’s work. Photo courtesy John Ball. The twin spans of the new cable-stayed Tappan Zee Bridge are each 3.1 miles long and 96 feet wide, making it one of the widest cable-stayed bridges in the world. Each side consists of four traffic lanes, a bicycle/pedestrian lane, shoulders and dedicated bus lanes. 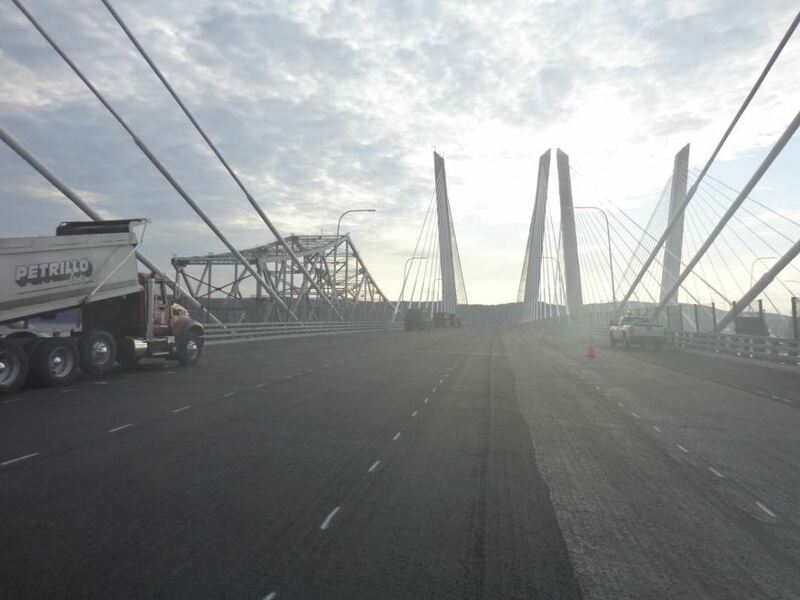 The bridge was design-built by Tappan Zee Constructors LLC (TZC), which is a consortium of design, engineering and construction firms under the direction of the New York State Thruway Authority, at a cost of $3.98 billion. In this picture, you can see the old Tappan Zee Bridge components to the left being dismantled and barged away while the Tilcon team prepares the new spans for duty. The twin spans of the new cable-stayed Tappan Zee Bridge are each 3.1 miles long and 96 feet wide—each consisting of five traffic lanes, a shoulder and a bicycle/pedestrian lane. Photo courtesy John Ball. Construction of the bridge structure began in 2013 and progressed as scheduled. 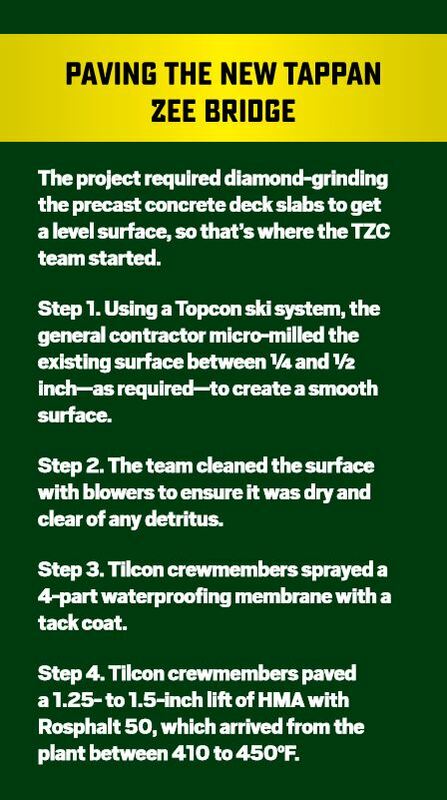 Following a design change in 2017, TZC contacted Tilcon. A series of meetings and negotiations led by Don Moore, Jr., with support from Scott Laudone, Joe Obermeyer and Carollo ensued. They reached an agreement that Tilcon would profile mill the deck panels and pave using 28,000 tons of Rosphalt 50 asphalt mix. It’s a challenging mix design that no supplier or contractor had produced or placed in such large quantities. As time was of the essence and the schedule very aggressive to meet opening commitments, the Tilcon Quality Control (QC) team, led by Cindy LaFleur, tackled the task of getting a specification and two job mix formulas created and approved in just six weeks. 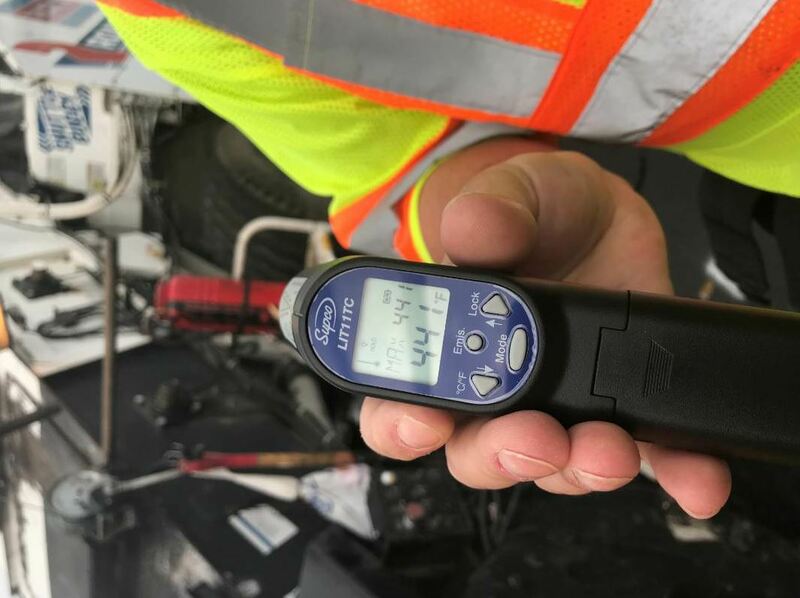 In conjunction with the Rosphalt additive supplier Chase Corp., represented by Brock Pedersen and Dave Fricke, the team created a mix design in accordance with the New York State Department of Transportation specifications, received approvals, and July 6, 2017, performed the first test strip. This was only the beginning. Carollo stated: “As a precedent-setting project, it would take extreme micro-planning, communication, coordination and cooperation with both internal and external personnel. Remember, high production Rosphalt 50 paving was a new process and we had to overcome engineering issues and conditions that arose, so our ‘Paving Team’ was created. “The team was comprised of both experienced and up-and-coming talents throughout the organization. With the pairing of Senior Project Managers Jim Best and John Beckmann along with Project Engineer John Onorati, combined with the expertise of John Ball, proprietor of Top Quality Paving & Training, Manchester, New Hampshire, and Senior Paving Foreman Salvatore Rizzo, we created our foundation for success. 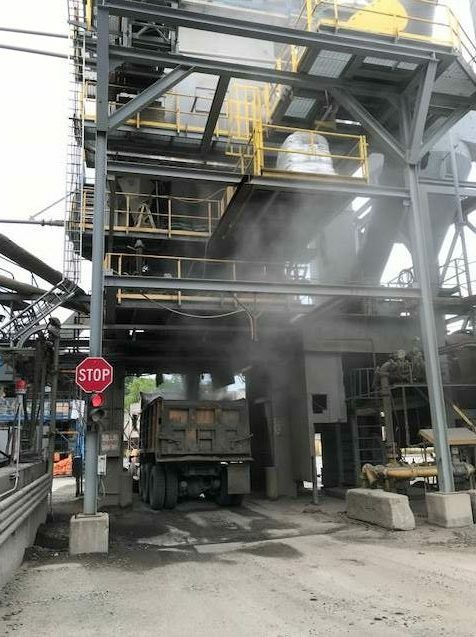 This was rounded out by the asphalt production and transportation teams at our Riverdale facility located approximately 45 minutes from the project site and lead by Kevin Stager and Steve Kosaitis and supported by our Quality Control team lead by Cindy LaFleur and Rich Linton. Even at the top of the MTV and paver, the operators took precautions to avoid breathing fumes from the high-temperature material. “We all had to wear full face masks,” John Ball said. 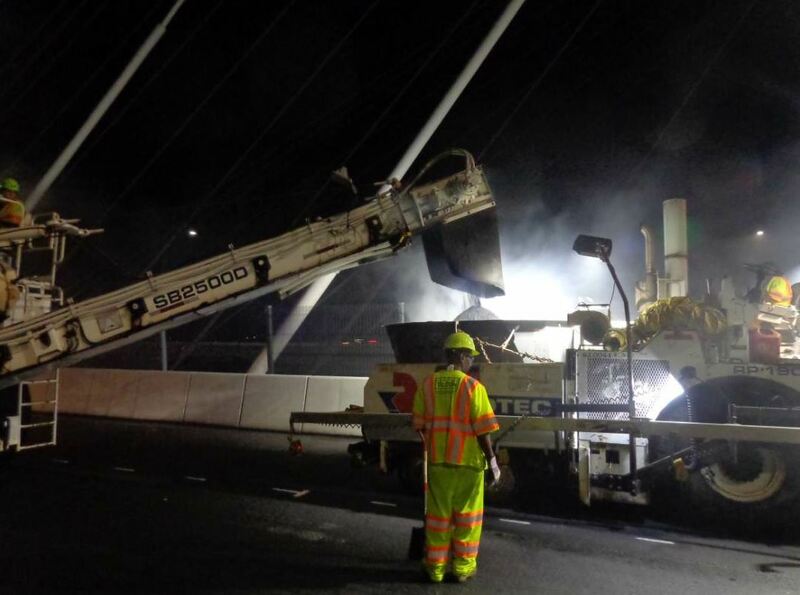 “The fan and tubing directed the fumes away from the operator and workers.” Photo courtesy John Ball. 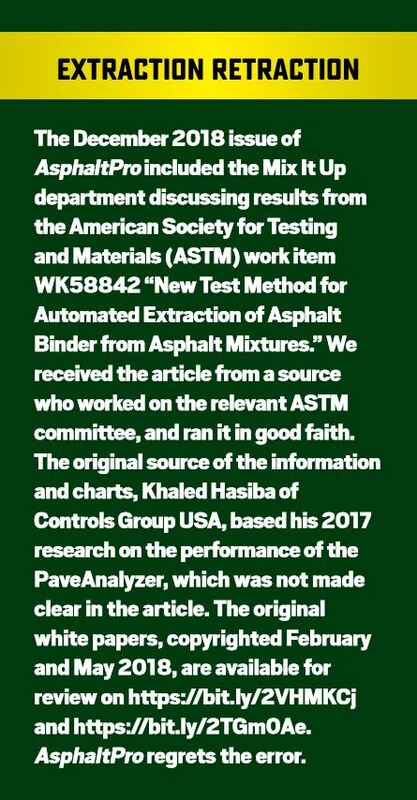 According to a Pennsylvania Department of Transportation (PennDOT) report filed on the National Academy of Sciences, Engineering, and Medicine website Aug. 23, 2012—a report that was eight years in the making—Rosphalt 50 is used for bridge deck overlays as a waterproofing membrane and as the bridge deck’s wearing course. In the center, Sal Rizzo, served as foreman on the job. 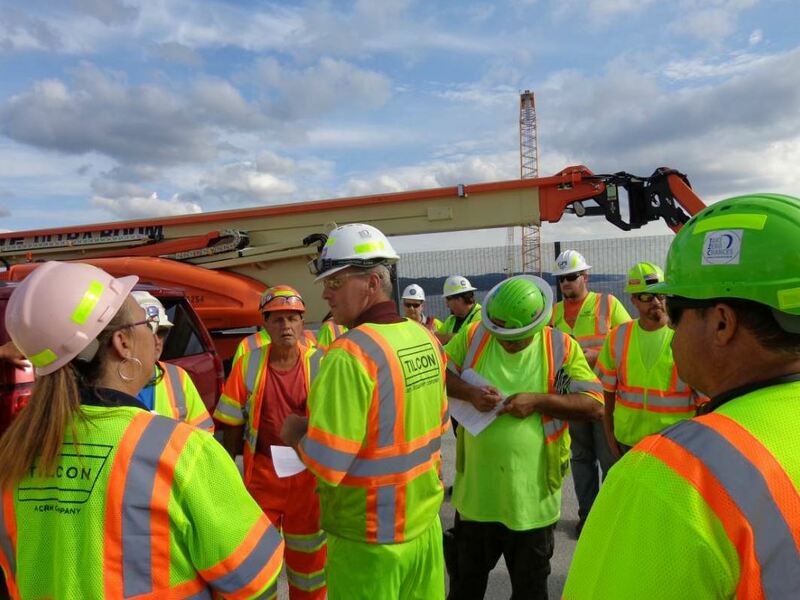 For the Tappan Zee Bridge, July 31, 2018, 10 trucks brought 22 tons each to the project. That level of production with a quality-minded team spelled success for the project. Photo courtesy John Ball of Top Quality Paving & Training. However, the Rosphalt technology did advance and move on to be used by other agencies throughout the Tri-State area in smaller quantities for specialty work. With oscillation technology on the job, the rolling train went from densities around 88 percent to achieving 94 percent compaction and no deficiencies. Consultant John Ball explained the crew found the stiff mix challenging in 2017; but when they put the oscillation to work, “the mix came right into it within three passes.” They had a perfect plan for 2018 as well. The CAT CB13 was a new roller for this project. Here the compaction team puts it right on the joint. Both photos courtesy John Ball. Superpave Specifications. Tilcon returned to pave the final 14,000 tons of Rosphalt in September 2018. 45,000 tons of asphalt may seem meager when you look at the complexity of building a new bridge until you look at some of the challenges. As previously stated, this was a record-breaking accomplishment and like all great accomplishments there were challenges. As high production Rosphalt 50 paving was a new process, they had to overcome engineering issues and conditions that arose in the field such as the surface preparation process, material delivery, roller changes and the extreme material temperature while maintaining high safety standards. Tilcon New York had a batch plant at the Riverdale drum plant site, serving as backup should they need it. Both photos courtesy Tilcon New York. There’s no getting around the fact the fumes from the Rosphalt mix created a fog. But the team had a solution for that. They set up shields on operator platforms to deflect fumes from equipment operators and set up fans to blow the fumes away. “When we were close to the barrier wall, the air was very still,” Ball said. Carollo elaborated: “Up against the bridge barrier walls, we were kind of trapped with the fumes and the heat. During the first night paving, the ambient temperatures were over 100 degrees, so we came up with a plexiglass shield around the safety bar to keep the fumes out of the transfer machine operator’s face. Then we put curtains over the conveyor belt to keep fumes away. 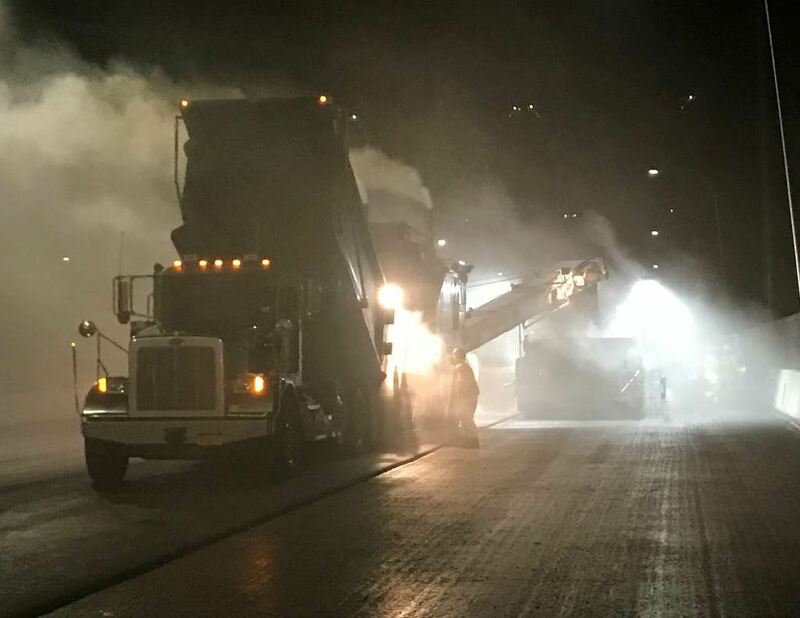 The material arrived at high temperatures, resulting in a steamy atmosphere, even when the crew performed night paving. Both photos courtesy Tilcon New York. 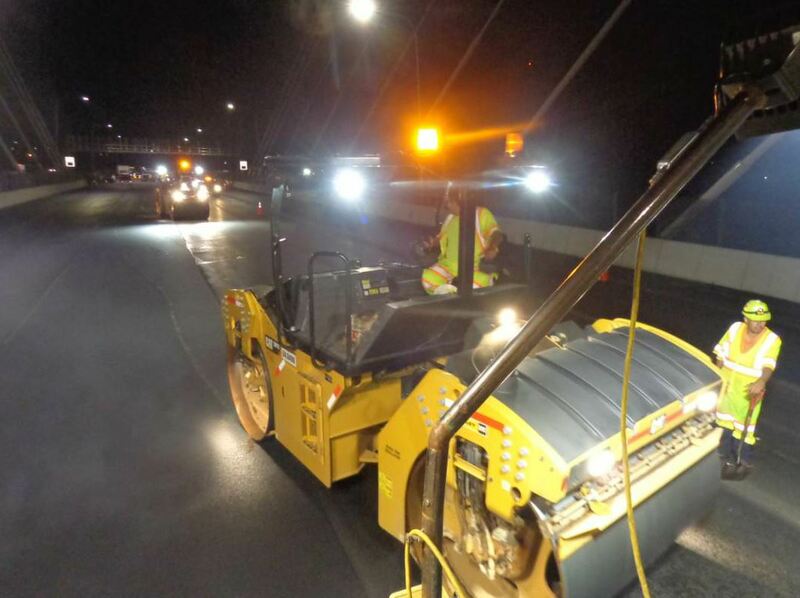 Surface preparation process began with setting parameters, the Tilcon team first painted lines to show equipment operators where to tack and pave, etc. 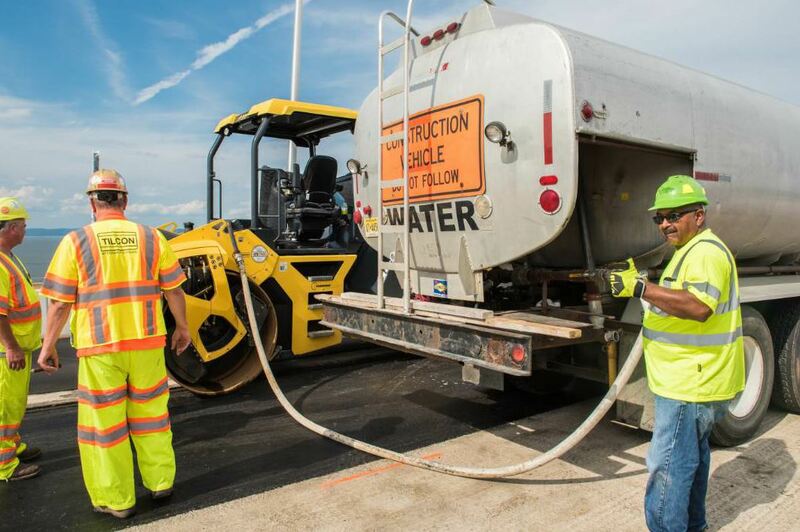 To keep haul trucks, equipment and workers from tracking the special membrane, they used “tire soakers” (garden spray canisters) to spray water on the right travel lane, in addition to creating a tire wash pad at the entrance of the site. They also used edge sealer along the interface of the membrane to concrete separating the right shoulder and shared use pathway, as well as on the edge of right lane pavement before paving the shoulder. With tacking and this preliminary hand-work done, paving could begin. Next, they needed to keep the mix from entering/clogging drains or sticking to expansion joints, etc., so Jim Best came up with a 1/8-inch-thick aluminum plate with a 1-inch, 90-degree lip over scuppers, fire hydrant boxes, concrete joints and the like. Now it was time to get the equipment and trucks into action. As it does with any large-scale project, trucking had to be planned precisely. as the paver laid the mat of Rosphalt down. Getting density on the single lift bridge deck took a team effort, both in 2017 and 2018. Of course, one purpose of the test strips is to set a good rolling pattern, and the team used five rollers and a few nuclear density gauges to double-check quality (See Sidebar for QC/QA List). One of the many challenges encountered was working too long on compaction. “We didn’t want to over-roll the mat, so we had a 2 a.m. brain storm session and decided to get oscillating rollers for the next shift. The totes of Rosphalt 50 additive await blending. 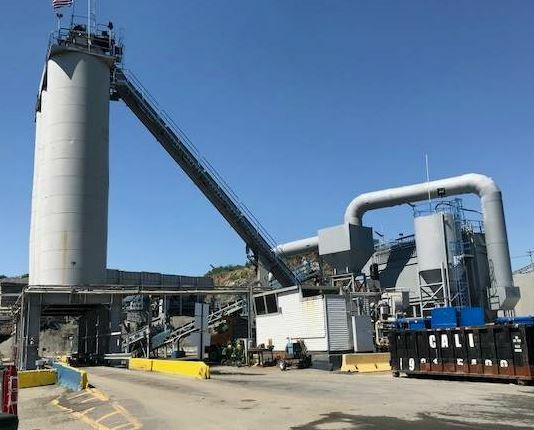 John Carollo explained: “The successful delivery of the required quantity of Rosphalt 50 has allowed Tilcon New York to optimize a new market position. 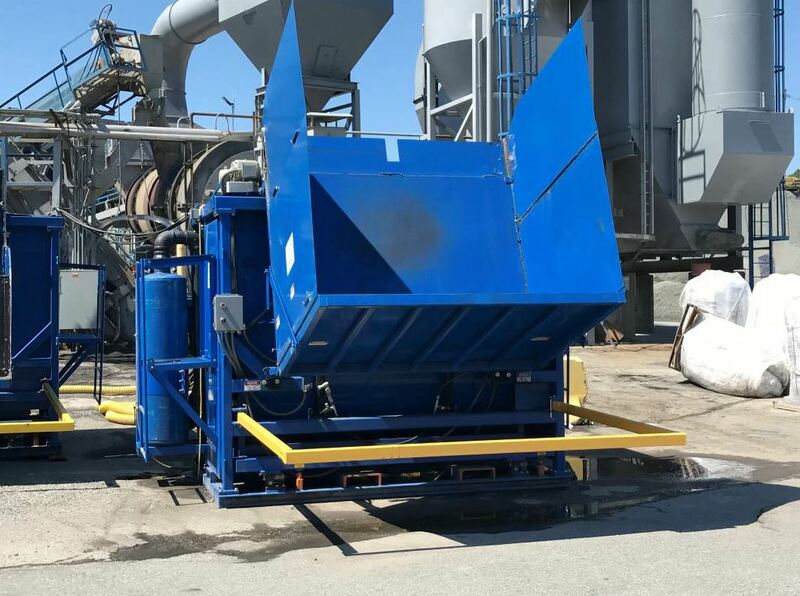 Using a disciplined production planning process, Tilcon New York dedicated one facility with both drum and batch plants to meeting the customer’s needs.” Both photos courtesy Tilcon New York. The team performed smoothness tests regularly. Under the supervision of GPI Labs and a TZC representative, Tilcon crewmembers used the 16-foot aluminum straight edge to test smoothness/flatness of the mat. Notice here that the crew has offset the material transfer vehicle to keep it from tracking tack as the paving train moves down the lane. Photo courtesy Tilcon New York. 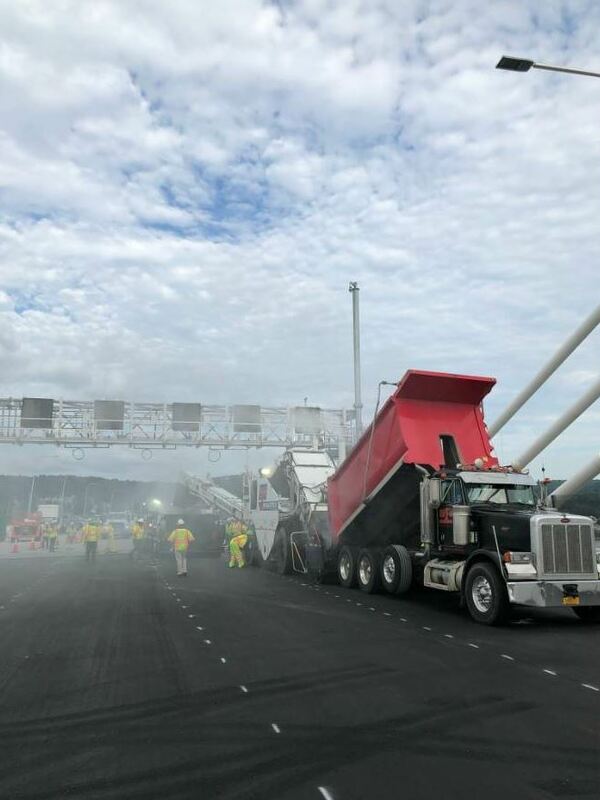 Innovation and attention to detail worked hand in hand throughout the Tappan Zee Bridge’s paving portion. 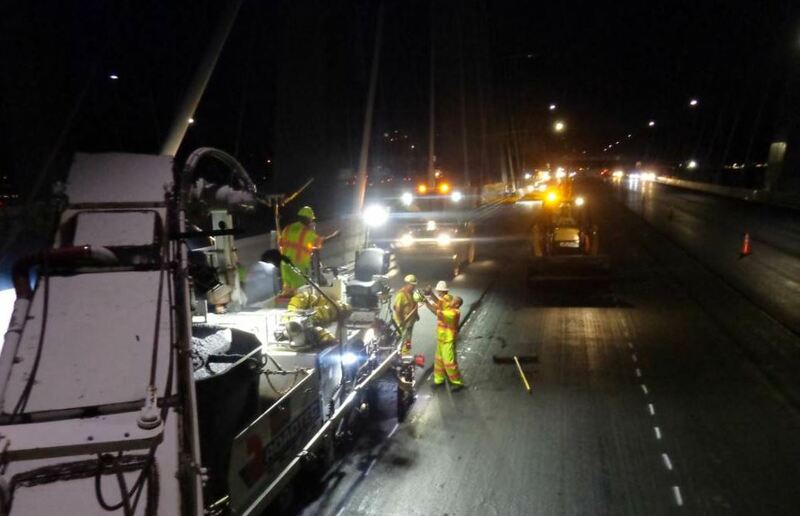 The Tilcon crew has much to be proud of now that traffic is flowing on a smooth surface, courtesy of their hard work and dedication to getting a challenging mix placed right. Get a free print subscription! How Far Can Employers Go to Investigate Workers’ Compensation Fraud? Plan Ahead: Where’s That Recycle Gonna Go? Sign up to receive Toolbox Tips to your inbox each week! © Copyright Asphalt Pro 2019. All Rights Reserved. Website by Venta Marketing.